Quick summary: We have a complex relationship with our mobile phones that is more than screen deep. Mobile phone use and the impact it has had upon society is a is a contemporary social issue with far-reaching effects on our community’s safety, health and wellbeing. In this lesson, students will work in groups to consider the impact of mobile phones on society and identify an associated issue that they would like to address. They will plan and run a community health, safety or wellbeing campaign to address their chosen issue. They will respond to a set of questions to reflect on the process of creating and running a campaign as well as their own learning throughout the process. Students will be able to identify a specific health, safety or wellbeing issue to address. Students will understand what a health campaign is. 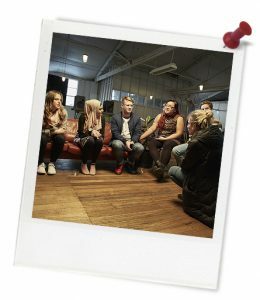 Students will be able to create and run a health, safety or wellbeing campaign. Relevant parts of Year 7 & 8 Health and Physical Education achievement standards: Students investigate strategies and practices that enhance their own, others’ and community health, safety and wellbeing. Relevant parts of Year 9 & 10 Health and Physical Education achievement standards: Students access, synthesise and apply health information from credible sources to propose and justify responses to health situations. 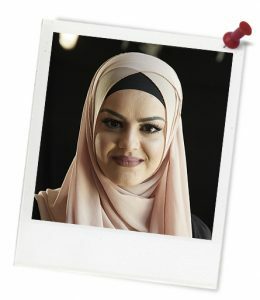 Level of teacher scaffolding: High – guide students through the process of creating and running a health, safety and/or wellbeing campaign in their community. Resources required: Student Worksheets – one copy per student. Device capable of presenting a video to the class.The Impact of Distractions on Safe Driving factsheet (one per student). Keywords: social action campaign, behavioural change, audience, advocate, evaluate, outcome, message, It’s People Like Us. Students will be able to identify a specific health, safety and/or wellbeing issue to address. Students will understand what a health, safety or wellbeing campaign is. Students will be able to create and run a community health, safety and/or wellbeing campaign. Thought starter: Health campaigns can help to improve virtually every aspect of health and wellbeing, including disease prevention, health promotion and quality of life. 1. Watch the first 8 minutes of It’s People Like Us to re-focus on the issue of the impact of mobile phones on society. 2. Fill in the two lower circles in the diagram as you watch the video. 2. 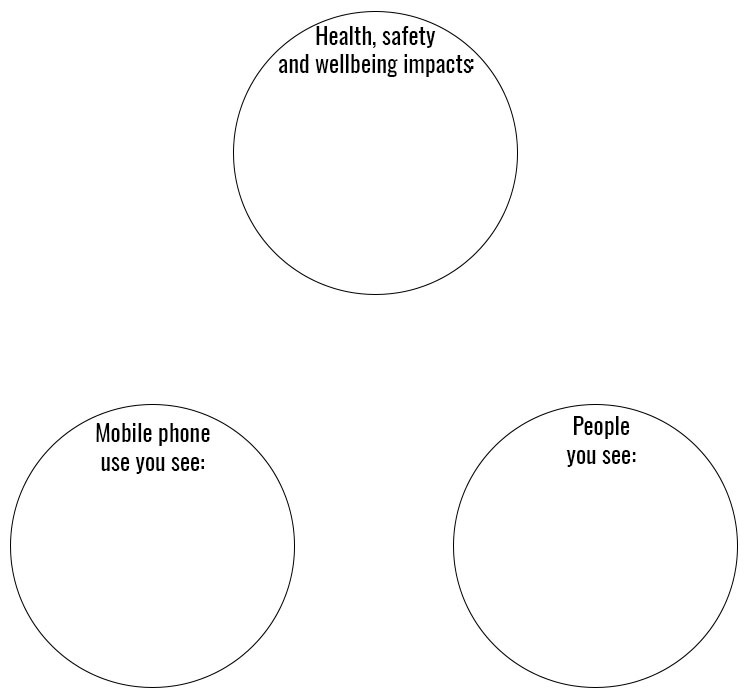 Find out more about the impacts of driving while distracted in this factsheet: The Impact of Distractions on Safe Driving, then fill in the top circle. Try to make connections between the observations you made in the lower part of the diagram and the information you read in the factsheet. 3. Go to the It’s People Like Us YouTube channel (https://www.youtube.com/channel/UCRxscY0LqoT8o6v0dItnZJQ), and watch one or more of the It’s People Like Us - Perspectives clips featuring extra information and commentary about the impact of mobile phones on society.